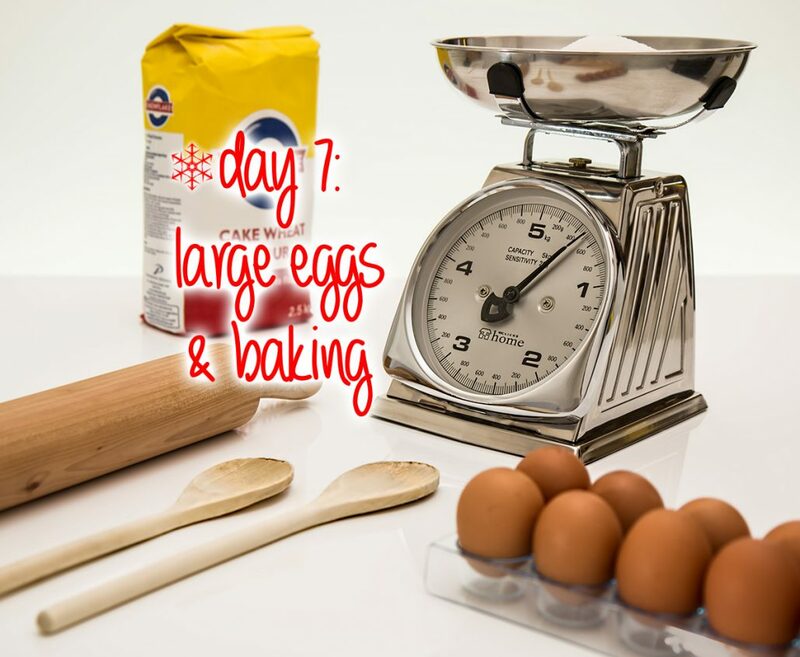 Why Do We Use Large Eggs in Baking? Here’s the scoop. Eggs come in many sizes: Small, Medium, Large, Extra-large and Jumbo. Large eggs are about 57 grams or 3 1/4 tablespoons of egg. Extra-large eggs are about 64 grams, or 4 tablespoons of egg. And Jumbo eggs are even larger. So you only have Extra-Large eggs in your fridge. Can you just use those instead? If a recipe calls for two Large eggs that means the proportions of the recipe are counting on about 6 1/2 tablespoons of liquid egg. If we were to use Extra-Large or even Jumbo eggs in its place, we would be adding far more liquid than the recipe proportions account for. Eggs add moisture to recipes, and when it comes right down to it, baking is very technical. If you mess around with the flour/moisture ratio, your end product isn’t going to turn out the way the recipe author intended (and you’d hoped for).